After a successful Phakisa Freeway race, the boys are back in town on the 9th and 10th of August 2013, at the illustrious Zwartkops Raceway as part of the Extreme Festival Road show. During the recent Phakisa excursion, both races one and two delivered closed contention. In race one Stewart Macleod took top podium position with a best time for the day of 01:41.281. Hot on his Bridgestone Battlax R10 back tyre was Brian Bontekoning #16 (best lap: 01:41.657) and Pieter de Vos #17 (best lap: 01:42.012) in third place. Places four, five and six were filled by Kyle Robinson #18, Johan le Roux #44 and Tony Klem #13. Race two delivered almost the same results with the exception of Johan le Roux exchanging places with Kyle Robinson to take up the fourth place, while sixth position was filled by Robbie Breakspear #88. 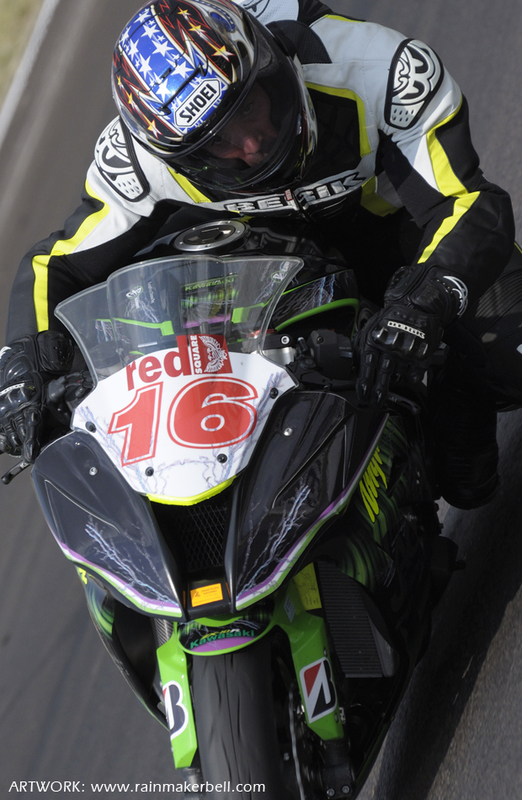 The squad is racing on similar Kawasaki ZX10R motorcycles with only minor changes to adapt to motorcycle racing conditions. Speed in access of 200kph can be expected on the short and quick Zwartkops Raceway, with the front runners clocking lap times in the region of 01:04.000. To the cheering crowed this might sound impressive, but at a 38m/s velocity, it is even more impressive. Looking at the overall point standing (combined), Stewart MacLeod has moved past the 200 points mark and is currently on 240, followed by Pieter de Vos on 132 and Gavin Lightfoot #32 on 130 in third place. In 4th place is Brian Bontekoning on 125 followed by Johan le Roux on 114 and Paul Jacobs in 6th place on 100 points. Spectators are more than welcome to have a close up view of the Kawasaki race team at their garage in the Zwartkops pit complex. On track, these masters look very intimidating on their superbikes when those visors are lowered, but are as meek as lambs if you would like to pose for a photo with your favourite racer. • STARTING GRID LINE UP: Tony Klem #13, Hannes de Vos #15, Brian Bontekoning #16, Pieter de Vos #17, Kyle Robinson #18, Johan Fourie #19, JB Schoeman #23, Simon Bezuidenhout #25, Peet de Lange #26, Francois Saunders #27, Paul Webber #28, Chris Marais #30, Gavin Lightfoot #32, Raymond Keel #33, Paul Jacobs #37, Carel Brits #40, Rodney McLachlan #42, Jaco Gous #43, Johan le Roux #44, Stewart MacLeod #46, Colleen Smit #47, Bertus Meyburgh #50, Gavin Wagenaar #54, Sid Farinha #57, Peter Clark #64, Stewart Christie #65, Apanna Ganapathy #77, Andre von Vollenstee #82, Stuart Russell #83, Justin Gillesen #84, Steven Smit #85, Robbie Breakspear #88, Walter Marafioti #99. 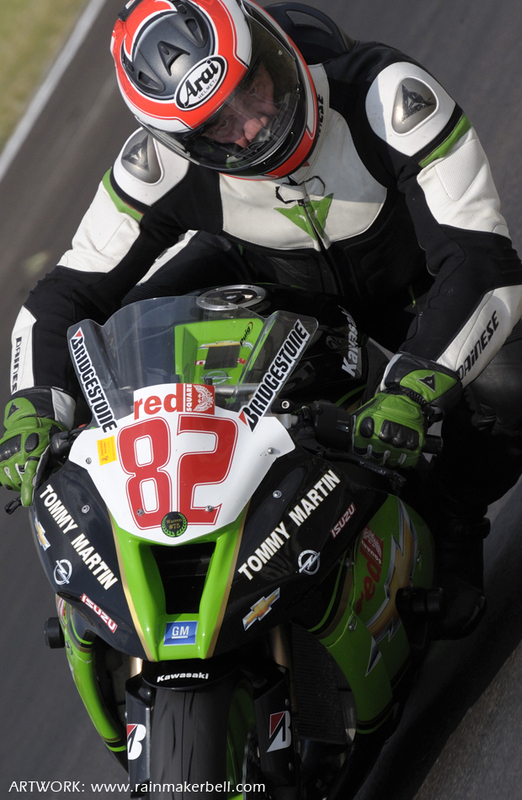 Words & Photos: Adriaan & Martine Venter (Kawasaki ZX10R Masters Cup, Extreme Festival, Zwartkops Raceway, South African Motorsport, 2013/07/01, Prequel 2 Sequel) Main Image: Andre von Vollenstee #82, Kawasaki ZX10R.